Roy Hodgson has insisted it is “far too late” for Sam Allardyce to make up for comments he made after succeeding him as England manager in 2016 and revealed the Everton boss has never offered him a private apology. Crystal Palace travel to Everton on Saturday when Hodgson will come face-to-face with the 63-year-old for the first time since Allardyce was caught on camera mocking his speech impediment. Allardyce was heard calling him “Woy” as part of an undercover newspaper sting and claimed Hodgson would “send them all to sleep” if he became a public speaker after leaving his post as England manager after Euro 2016. 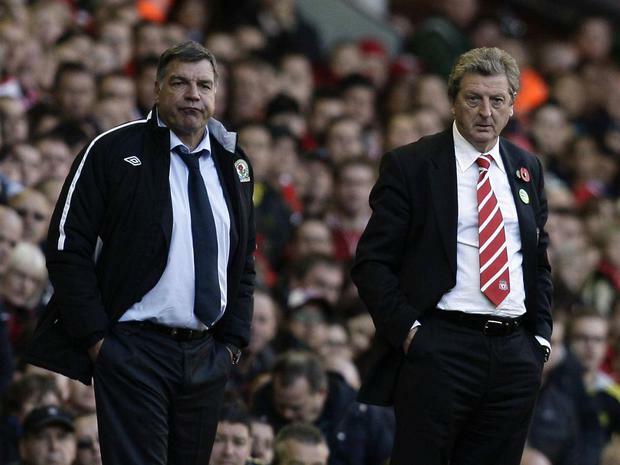 When pressed on whether Allardyce should apologise at Goodison Park on Saturday, he responded: “No. Far too late. It has gone. It belongs to the distant past. “In jobs like I am doing at the moment, when you are the manager of a Premier League club, you live very much in the ultimate present and the future. During Allardyce’s press conference before the game, he insisted that while he apologised publically a number of times, he’d never had the chance to do it privately. “I'll hopefully speak to him and see him at the game,” said Allardyce. “A lot of time has passed since that unfortunate situation. I (apologised) publicly and I did it more than once.